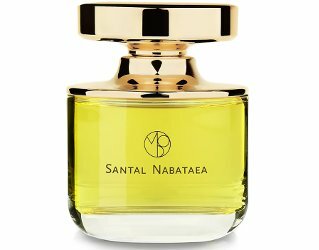 Niche line Mona di Orio will launch Santal Nabataea, a new addition to the brand's Monogram Collection. A fragrance inspired by the ancient kingdom of Nabataea and their capital Petra. An olfactory journey depicting the story of the people, their vast relationships in trade, their architectural craftsmanship and the very environment they spent their lives in. It all begins with a burst of freshly cracked black pepper given body by tints of black currant leaf and dried apricots. A vibrant floral heart follows, showcasing the abundance of Oleander trees growing all around, a beautiful yet dangerous part of this landscape. The base is an ode to the highest quality of sandalwood and the clay like odour of the terracotta coloured sandstone Petra is carved out of. The beauty and romanticism of classical antiquity with a modern aproach. Santal Nabataea was developed by perfumer Fredrik Dalman. Additional notes include tonka bean. Mona di Orio Santal Nabataea is available now for pre-order with September delivery, €195 for 75 ml Eau de Parfum. I have never tried anything from this house..how is it? I have not loved any of them, but I think I’m probably lone man out…they have lots of fans. I am with you in that I have never tried any but some intrigue me (especially the vanilla one). I want to love this because I loved Petra. I was there when the oleander was blooming all around, but I don’t know how oleander is dangerous. They’re probably referring to the fact that oleander is very poisonous. Sounds interesting. I like this line and have 8-9 bottles. I love the way the bottles look I bet they look lovely all lined up! I have Oiro, Jabu, Violette Fumee, Oud, Cuir and Chamarre in the old style bottle, and Vanille, Musc and Ambre in the new style bottles. I like the new style better. But my favourite scent is Chamarre, a beautiful ambergris scent that is discontinued.